Message: Psst! Hey, you. Yeah, you reading this blog. Let me introduce myself. My name is Luke. Luke Warm. I thought it might be fun to invade this blog today to tell you a little about myself. You see I like being a Christian—when it is convenient. I look Christian enough to others. I wear shirts that advertise my church. A cross is always around my neck. I even have this awesome bumper sticker that says, “Real Men Love Jesus.” Others see this stuff and must think to themselves that I am all in. Ha! Truth is I fooled them. Apathy is like a second language to me. Just like the other day at work. My students were supposed to be reading quietly. I noticed one kid playing a game on his iPad. Another was sleeping. Did it bother me? Oh, I suppose a little. But it might have resulted in an outburst of anger from either one, so I ignored them and got back to checking e-mail. Grading papers. More important stuff, you know? I mean, do they really expect me to help ALL these kids? Whatever. I help the ones that want to be helped. The others … why bother? My life is comfortable. I read my Bible in the morning, but I only read what I want. All that Old Testament stuff? Not even worth reading. It is so outdated anyways. I like verses and stories that taste sweet. Not the real convicting stuff. Just like when Jesus tells us to love others. Not sure where He says that, but I know He does. One of my problem kids was gone for a week, and when he came back I pretended to be excited. Then I bashed him behind his back when I talked to another teacher in the hallway. Hey, he didn’t hear it! Sometimes students come to visit me after school. I must have made an impression on a few somewhere along the line. I play this game when they come in. I ask them about their life to pretend I am interested. Just for a few minutes anyways. Then I look at my watch and let them know how busy I am. Truth be told, I could spare a few extra minutes. But that would eliminate my quick stop at 7-11 on the way home from work to grab a soda. So, I politely shush them out the door and begin packing up myself. My contract time ends at 3:30 pm, so I am out the door at 3:28 pm. Just a few minutes early. What does it matter? Uh oh. I think I have been discovered. That teacher dude that writes on this blog is coming my way. Uh … Hi! Why are you at my desk? I … uh … wanted to help you with your blog this morning. Hummm, I see that. Looks like you got pretty far too. Mind if I take a peek at what you wrote? Sure thing! Feast your eyes on a new masterpiece. So, what do you think? I nailed it, didn’t I? Luke, I have to say you did indeed nail it. As a matter of fact, I am pretty sure I fall into that mediocre category at times. My flesh does get the best of me on certain days. But aren’t those days the best? When you can get away with so much without putting the effort in? That’s such a harsh word. Detestable. Blech! Luke, you remind me of my coffee yesterday. It was somewhat tepid after I put my dog outside. Warm enough to be tolerable, but not piping hot. Well, I like my coffee piping hot, but my life doesn’t have to be. Does it? No. Nobody’s life HAS to be on fire for God. God leaves that up to us. We have the freedom to live as we wish, but I was taught a different perspective. You see, God sent Jesus down to us because He loved us so much. He sacrificed His one and only son so that we could have eternal life in heaven. And I think of Jesus every time I fall short of God’s standards. Every time I mess up, He takes the blow. Another crack of the whip to His back. Another nail driven through His hands. I don’t like hearing this stuff. Can’t we just talk about love and grace? Sure! Love is what life is all about. If Jesus loved you so much that He would go to the cross for you, how should we treat His commands? And grace? We need grace every day! But we can’t abuse it. But that is so much fun! Fun to see Jesus cry over our sin? Fun to throw out all the truth of God’s Word? Okay, maybe that is not so fun. It is okay, Luke. I actually appreciate your being here today. You have helped me realize how much I fall short and are in desperate need God’s love and grace. Oh! Well, thanks for the compliment. I … uh … best be going now. No problem! (Luke leaves) Well, I guess I get to finally talk to you all now. My loyal followers. I will be praying that you all can be on fire for Christ this week. Sure, we might have lukewarm days, but do me a favor. Zap that lukewarm coffee in the microwave with a shot of prayer and a full sprinkling of God’s Word. See what happens in your life then. 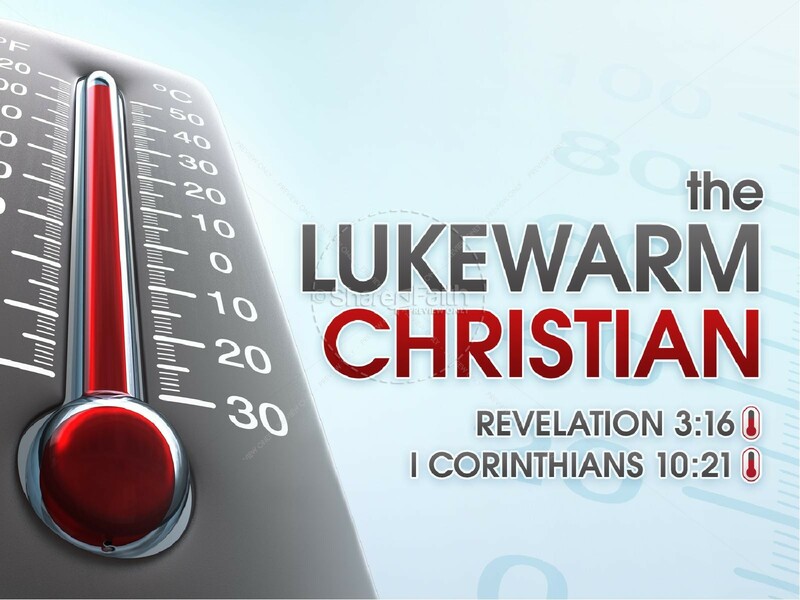 Challenge: Are you lukewarm? Where do you fall short? This may be difficult, but write down a list of areas in your life where you need help. Maybe it is patience. Maybe it is self-control. Whatever you come up with, make it your goal to work on those areas. Baby steps. Video application: Francis Chan is one of my favorite Christian authors and speakers. Listen to him share his thoughts about lukewarm Christians on the video link here: https://www.youtube.com/watch?v=QOkeKoflYCs. Other scripture: “Whoever is not with me is against me, and whoever does not gather with me scatters” (Matthew 12:30). What is Jesus saying in this verse? How does it apply to being all in for Christ? Prayer: Lord, forgive me when I am only halfway in. Allow me to take your Word seriously and apply it to all areas of my life so that I can be on fire for You. Amen.